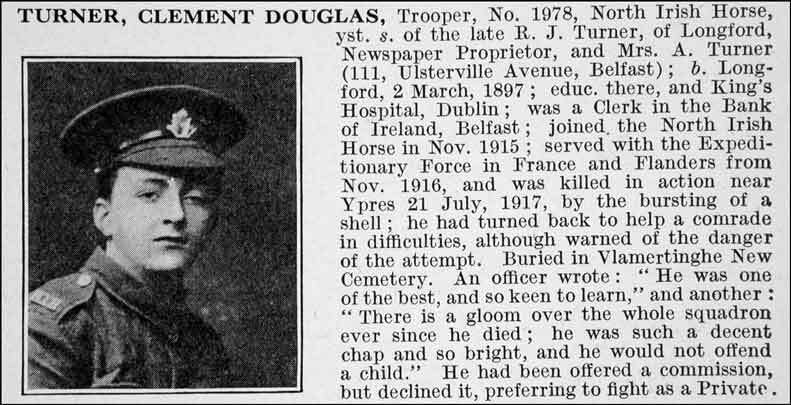 Clement Douglas Turner was born at Longford, County Longford, on 2 March 1897, youngest child of newspaper proprietor (Longford Independent and Westmeath Advertiser) Robert James Turner, and his wife Annabella Turner (nee Irvine). He was educated at the King's Hospital School, Dublin before being employed as a clerk at the Belfast branch of the Bank of Ireland. 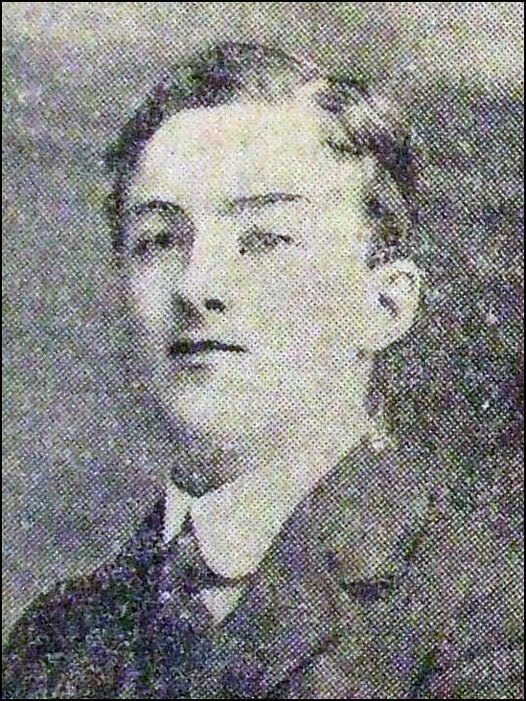 Turner enlisted in the North Irish Horse at Antrim between 25 and 27 November 1915 (No.1978). 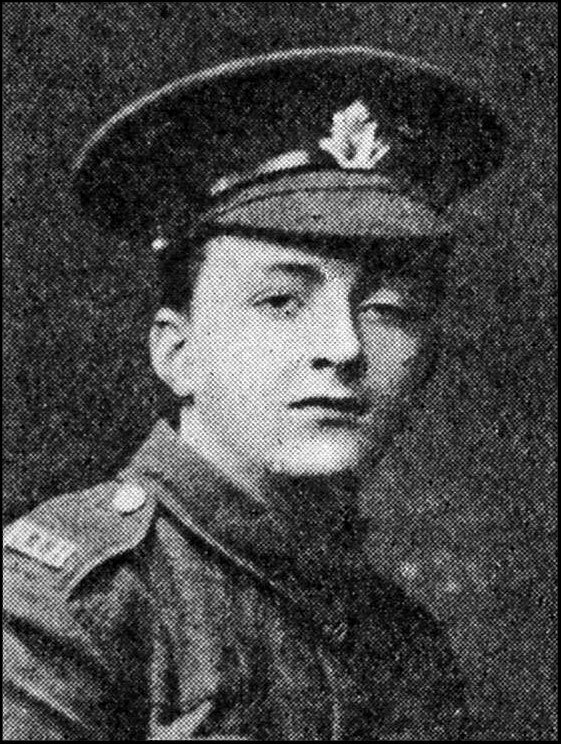 He embarked for France in November 1916 and was posted to the 1st North Irish Horse Regiment. He was the youngest in his squadron, and a good boy. His death cast a gloom over us all. He was beloved by all, and was killed instantaneously when going to help another. … he was such a decent chap and so bright, and he would not offend a child. He was one of the best – a brave boy. He died a glorious death, and you ought to be proud of him. 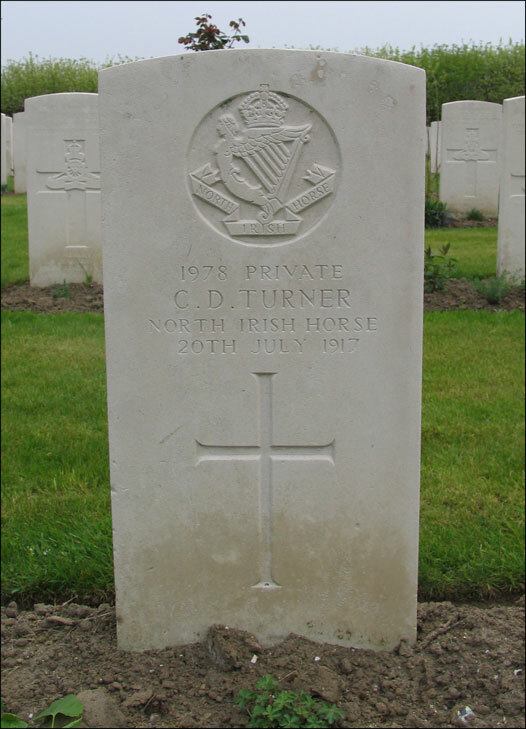 By sad chance another North Irish Horseman with the same surname, Stewart Lyttle Turner, was killed on the same day. 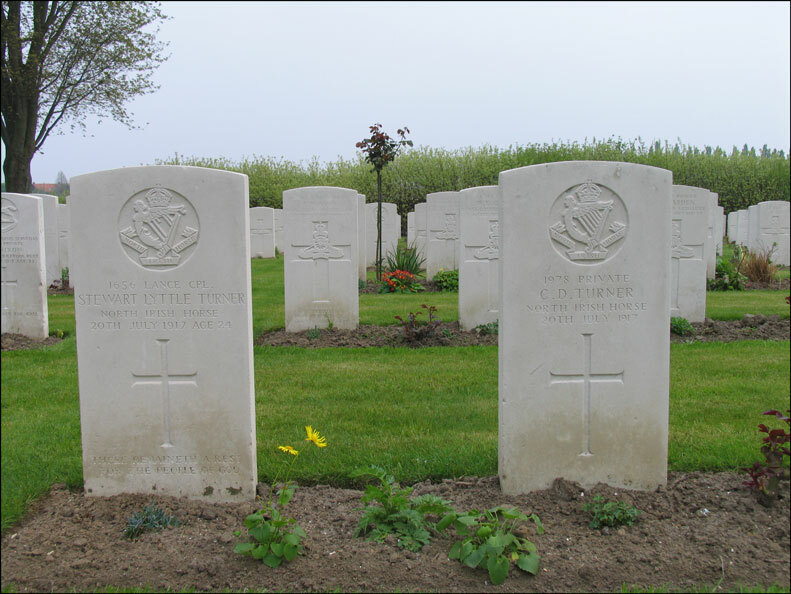 The two men are buried side-by-side. Images of gravestones and plaque from Bank of Ireland, Dublin, Copyright © Phillip Tardif with all rights reserved as set out in this Use of Material policy. 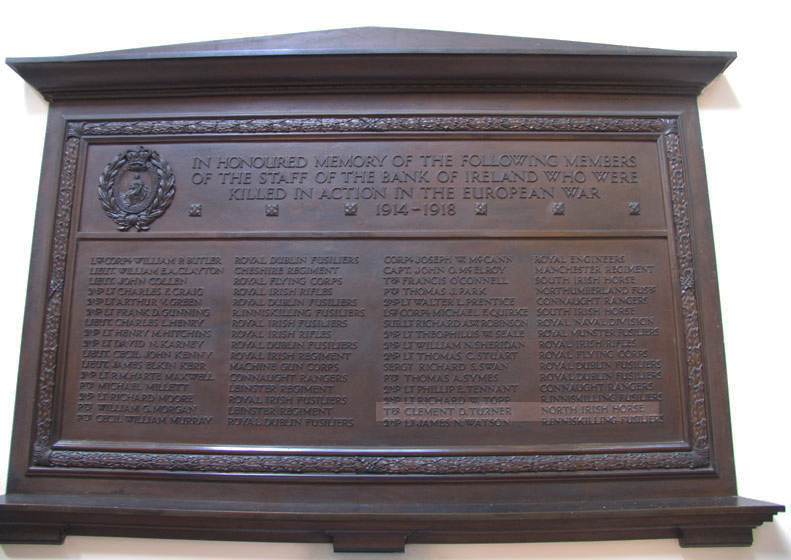 Image 3 from the Belfast Evening Telegraph, kindly provided by Nigel Henderson (see Fitzroy Presbyterian Church: Wartime Service and Sacrifice). Images 1 and 4 sourced from De Ruvignys Roll of Honour, Vol.4.